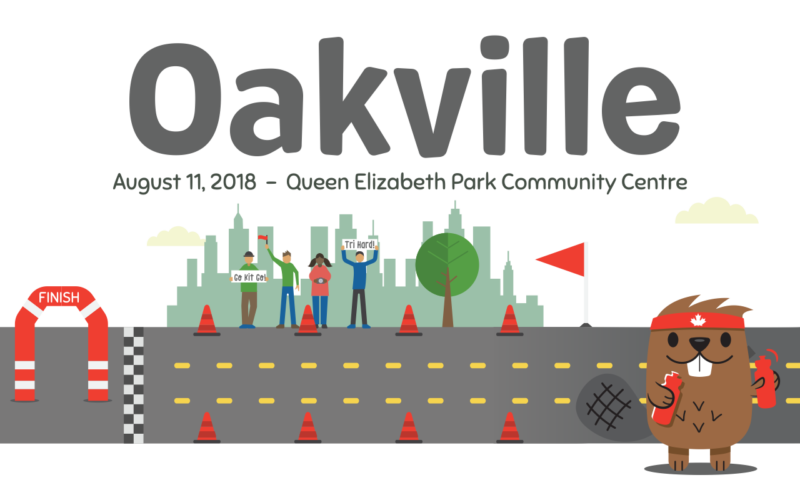 August 11th will be our final KITCan race of 2018 located in Oakville at the Queen Elizabeth Park Community Centre. Almost 800 families have come out and raced with us and Kit so far this season. One of the unique features of our KITCan races is the Family Fun Zone. This is where all kinds of fun, iterative games and activities are available free of charge for our special Kit Kids. Melitta Coffee – Free coffee for mom and dad! Some additional benefits of racing with us include awesome race kits bags filled with great treats and free downloadable race photos. You will also find these cool temporary tattoos of Kit in your race bags that you can wear on race day! 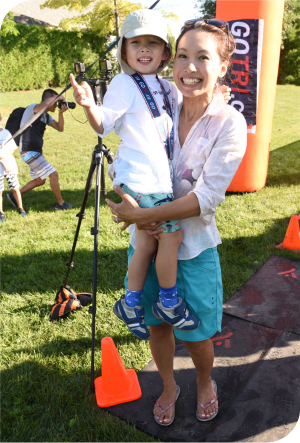 Don’t forget, each race has a different finishers medal featuring Kit either swimming, biking or running and the Oakville racers will get to add Kit running to their collection. Due to the limitations of the venue the Oakville event can only accommodate 3-9 year olds. The Oakville event will be moving to a different Oakville venue in 2019 and we will try our best to accommodate 10-11 year olds. Looking for more races this year in Ontario? 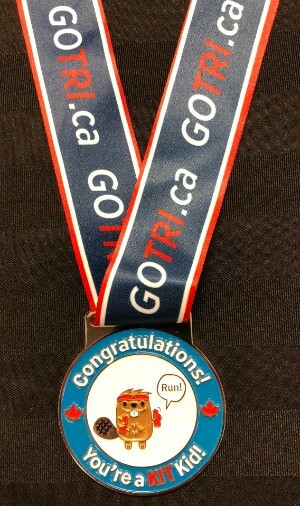 Check out the GoTri.ca site. Its a helpful tool to find races, coaches, clubs and basic information about the sport. Mom and Dad, did you ever think about doing a triathlon? There are events such as Try-a-tris (300m swim, 10km bike, 2.5km run) that are an ideal way to tri our sport. If your child is turning 12 or older and wants to try a competitive event, Triathlon Ontario’s Youth Cup Series is an introductory to competition series of five events around the province. Click here for more information. Thanks again. We hope to see you again in Oakville or next year!